In 1864, he began his law studies at the University of Michigan. However, in 1865 he was employed in the provost marshal’s office while taking night law courses. This job did not satisfy him, and he returned to Pennsylvania in 1867 to pursue the commercial oil field business. His career path changed again, and he returned and completed his law courses in 1868 in Ann Arbor and immediately began practicing law. For the first part of his career he was associated with the Republican Party. McGrath served on the school board for a number of years. He was appointed labor commissioner for the newly organized Labor Bureau by Governor Josiah Begole. 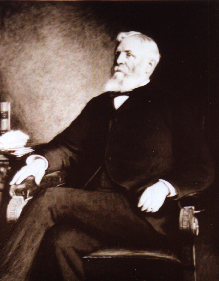 McGrath also served as the City Counselor for Detroit from 1887 until 1890. In 1890, McGrath was nominated to fill the vacancy on the Michigan Supreme Court Bench caused by the death of James V. Campbell and continued his service until 1895.